Virginia Governor Ralph Northam and the city of Charlottesville declared a state of emergency on Wednesday, a few days ahead of the first anniversary of the violent, deadly, white supremacist Unite the Right rally, CBS reports. The state’s executive order, which has the potential to remain in effect until September 12, sets aside $2 million of state money for securing Charlottesville on this potentially treacherous anniversary. The Virginia National Guard will be authorized to assist in protecting the area. CBS affiliate WCAV-TV reported on Wednesday that local response preparations have been in development since March. The city is anticipating a large turnout for its commemoration of three people who died on August 12, the second day of last year’s rally, including Heather Heyer, an anti-fascist counter-protester who was killed when James Fields allegedly plowed his car through the crowd. In June, Fields was charged with federal hate crimes. Two police officers were also killed in a helicopter crash near Charlottesville on that day. Jason Kessler, who organized last year’s violent display, officially abandoned his federal court challenge of the Charlottesville’s decision not to grant him a rally permit to reprise his racist rally on its one-year anniversary, August 11 and 12. Instead, Kessler is bringing his rally to D.C.; counter protesters have planned many D.C. events as well. 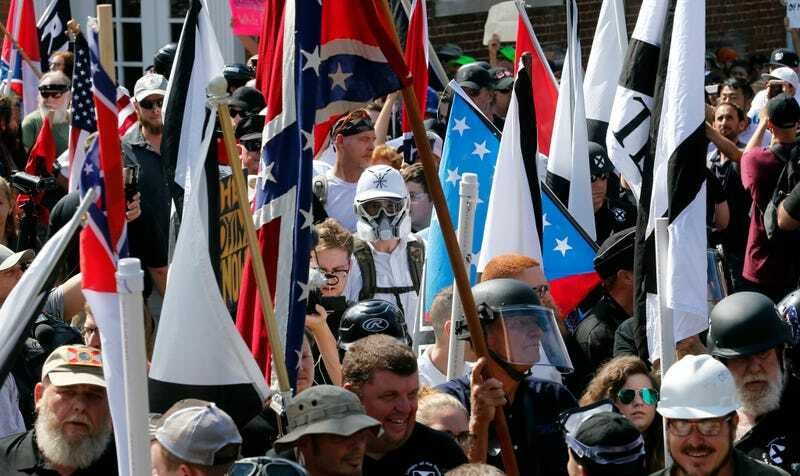 In December, an independent review conducted by former U.S. Attorney Tim Heaphy found that law enforcement’s response to the violent white supremacist rally failed in many ways and lead to a “deep distrust of government” among Charlottesville residents.